Howdy everyone! We are back and ready for some dancing! Our first official day back in the studio was yesterday. Our day started with class taught by the one and only Sue Schroeder. Can I just say that after a whole summer of living in the real world, working a customer service job, trying to make ends meet...it feels good to get back to the grind of dancing! My body is happy (albeit sore), so therefore my general mood has lifted...no pain, no grain, right? Getting our repertory back to performance is a challenge, but a much welcomed one. Despite having been on hiatus since May, we have had quite a busy summer. We had the amazing pleasure of traveling to Sweden to perform in the ABUNDANCE festival. 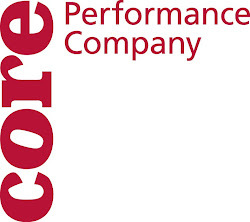 We were one of three U.S. Companies to perform in the festival. We adapted our newest work, The Point, to be a site specific work in Karlstad, Sweden. Then, most recently, in August we performed in the Houston Frenetic Fringe Festival. Many of the company members created our own work that was presented with various other artist for a full evening of eclectic performances. , be productive, and stay active? I feel very blessed to not have to sit in a cubicle all day! Besides, it isn't work to me...it is play! Simple put...I am very glad to be back, and I can't wait for this actioned packed 30th season to unfold!